You beat an official Guinness World Record, raise money for a charity, and win at life. The reality for avid Minecraft player Joe Kelly falls in line with the second option. 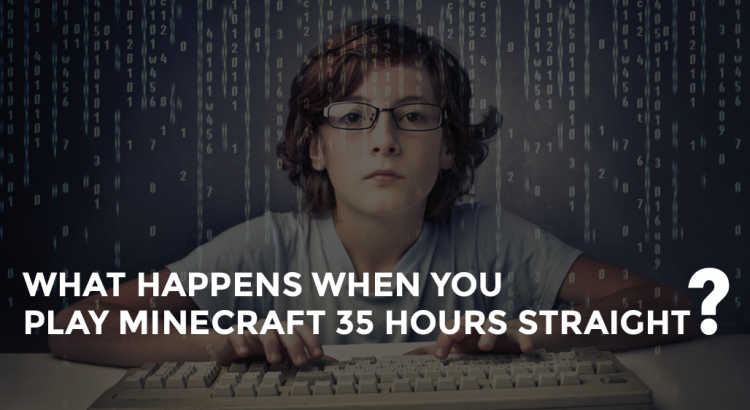 Late last year, the gamer from Cheltenham, U.K. broke the record for Longest Videogame Marathon on Minecraft by playing for 35 hours, 35 minutes, and 35 seconds. He orchestrated the event to raise money for Cancer Research UK. The goal of £300 was surpassed more than 600 times over with a whopping £1,941.08 ($2,692.76). “Loads and loads of people donated for us to get almost £2,000 for charity. Actually with Gift Aid it’s well over £2,000. It shows that gaming doesn’t need to be for people who shut themselves away,” said Kelly in his video log about beating the Guinness World Record. Along with the surprising amount of legal documents one must fill out for the world record process, Kelly had to compile evidence of the feat. What better way to do that than to live stream everything on YouTube? The following is the first of nine live stream videos proving that he was present throughout the entire marathon. You can view all 35 hours by clicking this YouTube link, if you dare. The excessive amount of hours behind the screen definitely had the potential to be incredibly unhealthy. According to video-game-addiction.org, playing video games for too long can result in Carpal Tunnel Syndrome, migraines, sleep disturbances, backaches, eating irregularities, and, of course, questionable personal hygiene. He combatted this by taking quick 10 to 20 minute breaks every few hours. “My shoulders didn’t ache, my back didn’t ache — the worst thing was my fingers. They hurt so much just from holding keyboard and mouse and being in clenched position for such a long time. Every little break I got I was flexing my fingers,” he told the BBC. Creaky fingers aside, Joe Kelly made a major dent in both gaming and cancer research, which was well worth the hassle. Congratulations, Joe, on your major accomplishment. We are proud!